We love writing time! 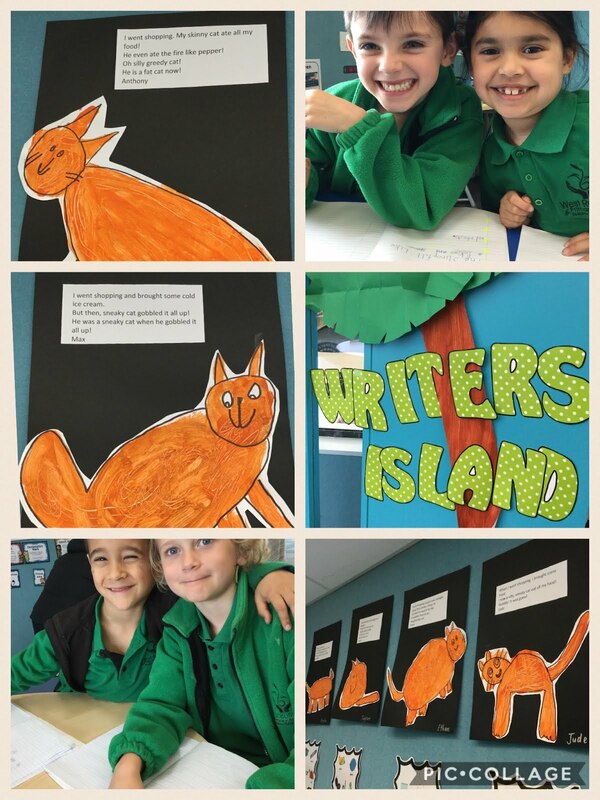 In our Writers Island we find fun, hands on and engaging ways to write! Take a look at our Greedy Cat writing! We are also in the process of writing about Spring! Anthony wrote; "The springs days are getting warmer and longer." Jude wrote; "The pretty blossoms are turning cherry pink." Quinn wrote; "The bright yellow daffodils smell sweet like honey". We can't wait to share our finished 'Spring' writing with you!